Microsoft today unveiled the Lumia 640 XL, a larger-screen version of the otherwise fairly similar affordable Lumia 640 handset. The Microsoft Lumia 640 XL comes with a 5.7-inch display (versus a 5-inch display on the Lumia 640), and it runs on Windows Phone 8.1 with the promise to get upgraded to Windows 10. Microsoft is also including a 1-year free subscription to Office 365 for increased productivity. The handset arrives in a range of vivid colors as well, a signature move for the Lumia brand. The 640 XL also brings a 13-megapixel camera that Microsoft says is an improvement over the 8-megapixel shooter of the 5" 640. It's also got a beefier, 3,000mAh battery. 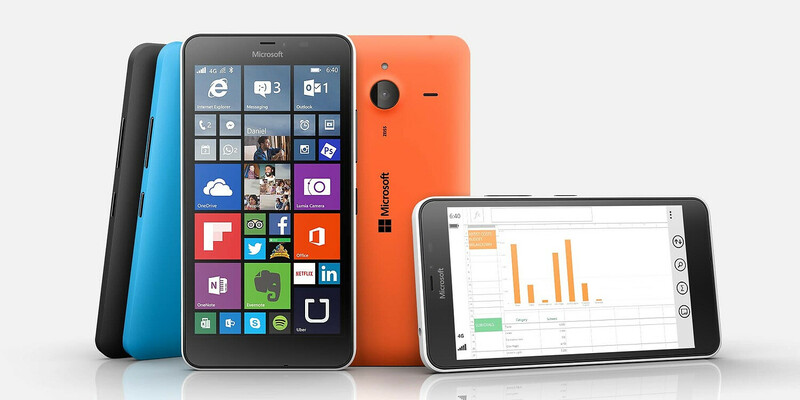 Finally, the Lumia 640 XL release date is set for April 2015, and the price is $210 (189 euro) for the 3G model and $245 (219 euro) for the 4G LTE version. Nice phone for its price. Awesome! Pure value for money phone! Too good! At least it has ZEISS lens but why still S400? Shld be 410 or 615..
Do you have any idea of the difference between the 410 and 400 ?? Nice payable, Microsoft! Definitely something I would pick up as a secondary handset. I really want to like this phone; especially at that price!!! If this was running Android I'd be jumping all over the place. But I can't really justify spending lots of money on another Windows Phone. I LOVED the 635 hardware but it wasn't worth the $90 I paid for it at the time so I returned it. Then I ended up buying a Lumia 520 when it hit $20 on Amazon. I've been kicking around the idea of selling the 520 for $25 and buying a 635 with LTE for $50 but I don't even know if Windows Phone is worth $50. The shortage of useful apps kills the platform as a viable alternative for me. Especially when really good phones like the BLU Studio Energy is only $149 and has the amazing battery life it does(I bought one), plus it has access to the full Play Store which has a TON of apps....that's a true backup phone. My $20 520 is growing dust just like the 635 I had started to do before I returned it. :~( I REALLY want to love you Windows but I can't live without a Safeway app, or an official app for my bank, not to mention the Google apps which I know is not your fault. Web versions are just impossible to use for some of these services. Nice one. Microsoft is making me want a WP device again. will have to pick one up and try it out. Still waiting for the 50th s6 article detailing the same things, instead of a bullet point system you did here. Glad I'm not the only one who noticed all the S6 articles. It's a miracle I even saw this article. This is a STEAL compared to how Microsoft has been pricing phones over the last year or so. I hope this means they are going to start getting things right. I hope they price competitive and near costs so that they can catch up. Considering production is now theirs they can afford this kind of razor thin margin. I'm sure they will be aggressively priced since they're coming to AT&T, T-Mobile and Metro Piece of S**t.
Nope. I mean MS. That deal closed last April. Why not call it 1340?